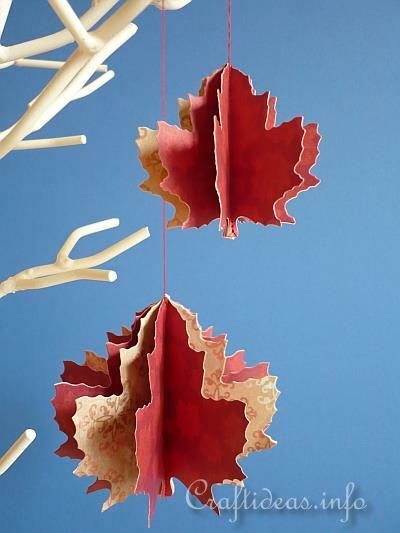 Bring the fall indoors with these paper decorations. 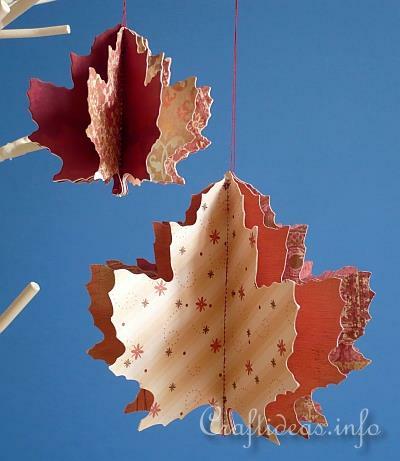 These dimensional maple leaf ornaments are a cinch to make using Spellbinders cutting and embossing dies. 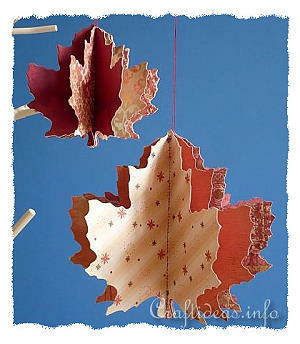 Within no time you can create lots of these leaves to hang in the fall. 1. For each leaf you need to cut out 10 shapes (5 reversed). Because one side of the paper is white, glue 2 leaves back to back so that both sides are printed. When finished, you will have 5 sets of “doubled leaves”. 2. Line the leaves up in a stack and paper clip the sides together to hold in place. 3. Sew a straight line down the center of the stack to sew the leaves together and remove from the machine. 4. Cut away the excess bottom thread. Use the top thread to hang the leaves up. Whether you use solid colored paper or printed scrapbook paper, these will look great.